Buffalo Bike Tours combines their two great passions: the city of Buffalo and bikes. 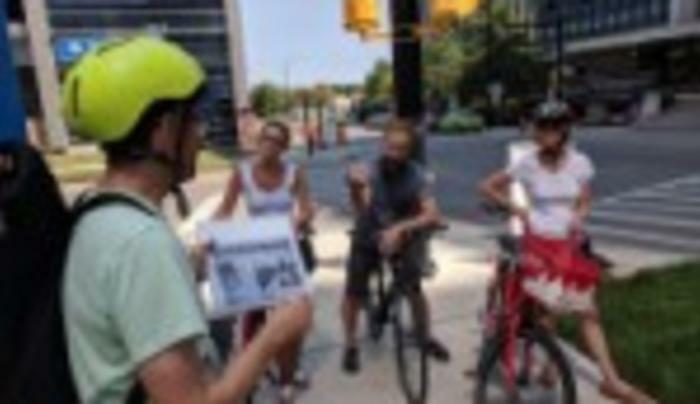 Founded in 2018, Buffalo Bike Tours is the only tour company dedicated to promoting tourism by bicycle in the city of Buffalo. Through song, humor, and local insight, Buffalo Bike Tours offers the B-Sides Ride gives a different view of Buffalo that’s guaranteed to provide a new perspective for first-time visitors and life-long residents alike. These tours are free of charge, but reservations are needed. Please visit the website, call or email to reserve a date and time.